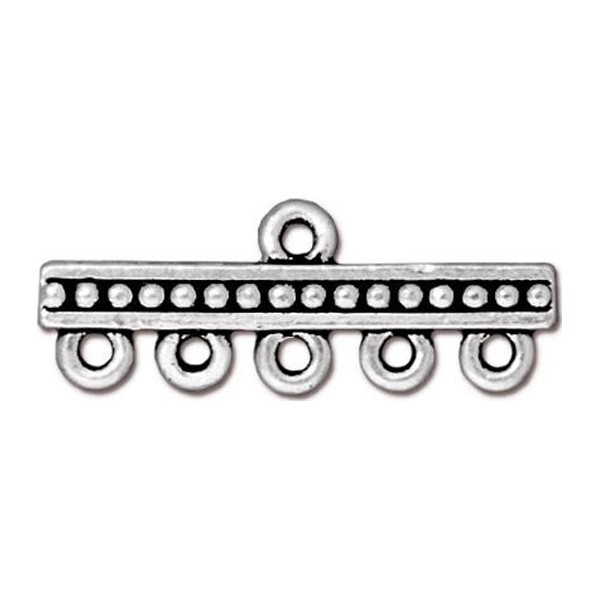 Fine Silver plated 5 to 1 connector featuring beaded drops lengthways. Approximately 26.mm in length and 9.7mm across with a 1.5mm loop. Use this to string 5 strands and bring together for one clasp. Great for either necklace or bracelets. Made in the US by TierraCast. The metal is plated pewter.